Autumn in New England brings out the changing leaves, and the leaves bring out the tourists. When Brenna Miller gets stuck as the tour guide for a group of leaf peepers, she tries to make the best of it. But it's hard to stay enthusiastic after the trial leads them straight to a dead body. Lucy Lawrence is a pseudonym of New York Times bestselling author Jenn McKinlay. Lawrence is the author of the Decoupage Mysteries, including Cut to the Corpse, Sealed with a Kill, and Stuck on Murder. 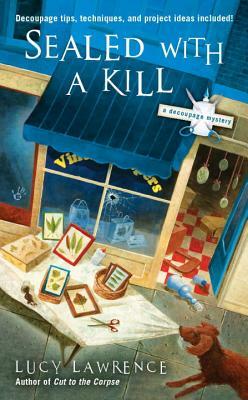 In addition to writing under her own name and as Lucy Lawrence, McKinlay also writes under the name Josie Belle.